The lackluster trailer of Agent of S.H.I.E.L.D that was released a couple of weeks ago managed to soften the blow because at that point the expectations were at all time low. This most anticipated Agent of S.H.I.E.L.D TV spin off managed to fall straight on its face. Everyone who eagerly expected this TV adaptation imagined it to be flashy and somehow entertaining just like the Marvel Universe movies but in reality it lacked the appropriate flair and the appeal to keep viewers tuned in. All the Movies from the Marvel Universe can hold their own with an average script but big special effects and their superheroes that can hold an entire movie on their own shoulders. Agent of S.H.I.E.L.D. TV show has none of those aspects (except the bad story) that is why it needs to be written properly, without it, it won’t last 2 month. 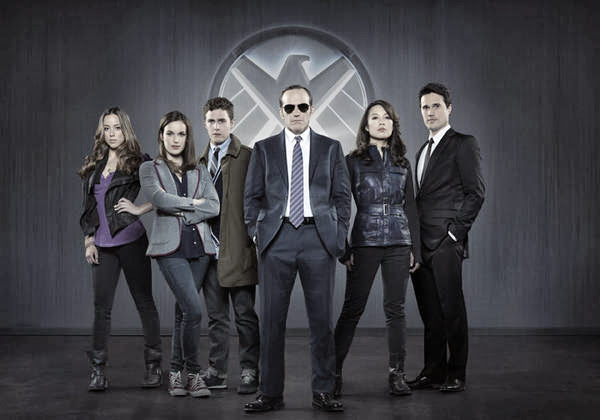 The TV show is focusing on 5 agents alongside Phil Coulson who leads the team.There are two tech geeks, a brute 007 type super agent, a legendary agent who was returned back to the front row and a newly recruited hacker. Even the core villain plot was fetched from the last Iron Man (Iron Man 3) film, couldn't they thought of something new? The appearance of Agent Maria Hill (Cobie Smulders) was on spot and gave the show a slight rub and some sort of credibility. Unfortunately it seemed like a onetime deal and she won’t be around much. Most of the regular cast are unknowns except Clark Gregg who appeared in the recent the Marvel films but he did a small role and Ming-Na Wen who was doing TV for a long time but didn't manage to leave a substantial impression that would make her stand out from the crowd. Those two are not major stars that will compensate the bad story. Joss Weddon should start figuring out how to improve Agent of S.H.I.E.L.D. before it gets canceled and from the first episode it seems like it is advancing with huge Hulk steps towards cancellation after 5+ episodes. Oh, that's too bad! Haven't watched it yet, but it's archived on my cable. I thought Gregg got killed off in one of the Iron Man films. I must say that i was very disappointed from the pilot, i dont know if i will check out the next episode. he was killed in the Avengers movie, and they didn't explain how is it possible that he is still alive. um, excuse me, not explaining mysteries right away adds to dramatic tension and allows for the mystery to be solved slowly throughout the series. From reading your reviews, it seems you clearly don't watch good TV. I found the Agents pilot to be on par with Whedon's other works such as Buffy and Firefly. The witty and smart dialogue is there, the mystery is there and the characters that you can never judge by first appearances are there. Seems as though it's people like you who caused Firefly to be cancelled before it's time. don't be put off by this review, it's by someone who doesn't understand how good television works. Well excuse me but last time i checked Coulson was DEAD. Seeing him show up just like that from nowhere with no explanation or even a hint to what happened in the Avangers doesn't sit well with me. If you liked the pilot doesn't mean its any good, you my friend are in a minority. This show shouldn't be mentioned in one sentence with Buffy. Firefly was good but not as great as all the geeks around the net imagine it to be. "Witty and smart dialogs" ? mystery? i dont know what you were watching but Agent of S.H.I.E.L.D had none of that. The characters were boring stereotypes that nobody cared about. They were not apealing and nobody cared for them or what they do. The only character that was interesting was Coulson but he is not enough to make the show watchable. If it makes you feel better you can keep on blaming me on all of your problems. Why wouldn't you explain how good TV works? This pilot got a huge rating because of the Marvel aura, not because Agent of S.H.I.E.L.D was good. Only people like you imagine it to be any good. Check out the numbers for the 2nd episode when it will be released and compare the two.